2018 enrolments for Universities using CaptureME has been bigger than ever! Over 95,000 Students and Staff have used CaptureME services for the beginning of 2018. AWS capacity was doubled in anticipation and we’re glad to report that everything is running smoothly. A big thank you to everyone that has used CaptureME in 2018 so far. We’re thrilled to have helped campuses across Australia and New Zealand manage their busiest time of the year with ease. 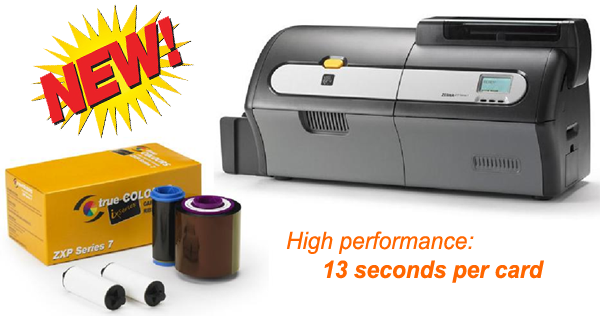 Unicard is pleased to announce that the ALL NEW HID® FARGO® DTC1500 Card Printer/Encoder will be launched later this month. Resin threshold - adjust precisely when the resin K panel is utilized, resulting in text and barcodes that are darker and more crisply defined. Designed for government ID projects, universities and colleges, primary and secondary education, healthcare facilities, and small-to-medium corporations. Contact Us today to be one of the first to take advantage of this fantastic addition to the Fargo® range. In 2017, it's simply unacceptable that someone diagnosed with Pancreatic Cancer that is inoperable, should have a less than 10% chance of survival. 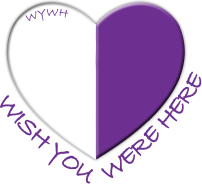 That’s why Unicard has attended the "Wish You Were Here" Gala Dinner to help this honourable cause fund the Avner Pancreatic Cancer Foundation. We encourage everyone to help support their vision "To break through 40 years of no progress by doubling the number of people who survive Pancreatic Cancer by 2020" by donating here. Unicard is pleased to announce that the release of our PrintMyID and EasyLobby® kiosks are continuing to expand across Australia. We welcome Australian Catholic University, Griffith University and Ford, whose clientele can now enjoy the convenience that our customisable kiosks provide. Unicard is proud to now offer the Matica brand of ID card printers. The Matica Technologies Group has an impressive history surrounding card issuance systems and Unicard was pleased to undergo training in their Instant Issuance and Central Issuance range at their Singapore office. Please Contact Us for details on their product range and how Matica ID card printers can help your business. CaptureME continues to prove itself an invaluable tool in helping Universities provide efficient ID card services to their staff and students. Macquarie University and Monash University are now fully implementing CaptureME to spread their ID card workload away from their front-line staff. CaptureME allows them to spend more time helping students on their path to graduation, and less time on administration. We’re pleased to announce that the South Australia branch of Unicard is now supplying a bureau card printing service to Flinders University through our CaptureME service. Bureau printing through Unicard is a terrific way to offload the stress of bulk card printing and distribution. We’re delighted to help Flinders University reduce peak enrolment period queues by bureau printing their student ID cards. Unicard are proud to announce the purchase of $1,000,000 of HID products in a 12 month period, third year in a row. Unicard has just implemented a new ID card solution at La Trobe University. The new solution comprised of our CaptureME module, UniSuite ID software licenses, Fargo HID HDP5000 printers and integration into a number of existing 3rd party solutions. Unicard has just been completed the CaptureME integration into the Government Document Verification Service (DVS) at the University of Melbourne. The CaptureME/DVS integration provides the capability of posting out Student Identification cards that have been securely verified online. Unicard has just expanded the existing Unicard ID solution at Federation training. The expansion comprised of new UniSuite ID software licenses, new Fargo HID DTC4500e printers and integration into a number of existing 3rd party solutions. Unicard has just upgraded our existing Unisuite ID card solution at the University of Western Australia. 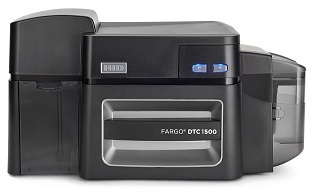 The new upgrade comprised of new Unicard UniSuite Licenses, new Fargo HID DTC4500e printers and our CaptureME module. Unicard has just implemented our CaptureME module at Federation University. The CaptureME module is a Web based application that provides potential cardholders the ability to upload their ID image via a secure web browser on their computer and mobile device. This eliminates the need of going physically to a capture station to take a photo for the card. ID Cards will be ready for pick up from Student Administration Centers or can be posted out for offsite students. 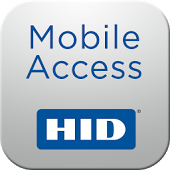 Unicard can now supply all your HID Prox cards and readers as well as your Fargo ID card printers and ongoing consumables. April 2015 - Unicard supply ‘Couriers Please’ with a national ID Printer solution. Couriers Please required a quality product and professional ongoing support for all sites nationally. Unicard’s proposal included Fargo DTC1250e printers and consumables with local support around the country, winning us the contract. Unicard are proud to announce the purchase of $1,000,000 of HID products in a 12 month period second year running. 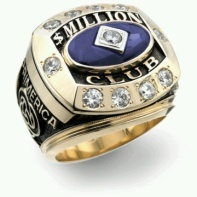 Unicard are proud to announce the purchase of $1,000,000 of HID products in a 12 month period. 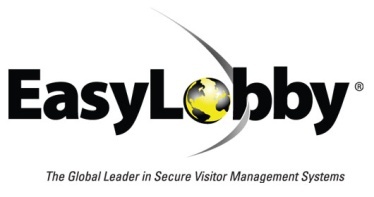 Easy lobby is a market leader in visitor management software and hardware. Unicard can now provide your ID Printing requirements and setup a professional visitor management system. June 2012 - Unicard to implement Mifare ID card system at Swinburne University of Technology. Unicard has just been awarded the contract to implement a Mifare ID card system using our Unisuite Platinum software and to install a number of HID HDP5000 printers across their campuses. 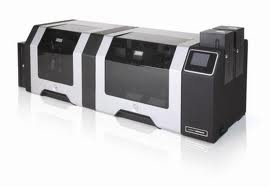 June 2012 - Unicard to Distribute New Fargo HDP 8500 Printer. The FARGO HDP8500 is the superior industrial ID printer for extended-run, high throughput ID personalization and issuance. It's especially suited for large government ID card programs and laborious service bureau conditions, as well as demanding university and large enterprise environments. Solid metal cabinetry and precision-engineered interior components create a stable printer environment that operates reliably over continuous runs. In fact, the HDP8500 is loaded with features that maximize card yield per shift: multicard processing capabilities, 400 card input hopper capacity, accessible card path and graphical touch screen interface, and built-in physical and electronic security features. These features are all designed to ensure continuous production, even in the most demanding environments. Unicard has for some time now supplied Flinders University with their ID card printing solution, but now for the first time, Flinders has brought in an external company to supply and manage their photocopying and printing solution. Unicard rolled out Epay Terminals for photocopying debt recovery, cash reloaders for cash top ups, papercut for print job release including online PayPal top ups and web print. A Unicard Copy Shop was setup inside of Flinders Central library with 3 new staff to manage and provide the highest quality service possible to Flinders University. Unicard awarded preferred supplier status for the Department of Education and Training to provide ID card services. 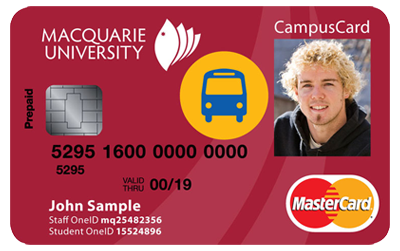 December 2011 - Unicard implemented multi-functions campus card at Macquarie University. Unicard has done it again and worked with Commonwealth Bank of Australia to implement the new multiple functions and contactless student cards at Macquarie University, and students are now enjoying services like, University transport, the library, food, photocopying, printing and internet services, all can be accessed with a single card. • free access to any Commonwealth Bank and Bankwest ATM once you've activated your card and PIN, and a range of benefits and offers with selected suppliers on and off campus. Unicard has worked closely with Commonwealth Bank of Australia to introduce the new multiple functions and contactless student cards at University of Canberra. "The new cards have multiple uses. Students can use them as traditional cards for identification, to access secure areas of the campus, to borrow library books and make photocopies. Also, the cards can be pre-loaded with up to $1000 cash for making purchases, with a maximum limit of $100 per shop. Unlike traditional EFTPOS, the buyer taps their card against a screen and the transaction is complete". Unicard Systems, after a substantial process has won all aspects of the ACU National requirements to install a complete new ID card and account based transaction management solution. The system will integrate into the student management system as well as the finance database and installation will commence in September 2009. ACU National is The Australian Catholic University, a public university funded by the Australian Government and open to students and staff of all beliefs. ACU National have six campuses in Australia and offer programs throughout Australia and overseas. Campuses are located in Brisbane (Queensland), North Sydney and Strathfield, (New South Wales), Canberra (ACT), Ballarat and Melbourne (Victoria). ACU National in advising the company of its successful selection thanked and congratulated Unicard for its performance in the project and looked forward to the ongoing relationship. Unicard Systems has continued the outstanding relationship enjoyed with the tertiary sector by sponsoring the major Australian Student Service Desk conference held in April this year. The Student Service Desk conference in Fremantle was attended by more than 180 delegates and allowed Unicard to thanks its many valuable clients by sponsoring this major event. Unicard Systems has continued the broadening of its sales with export success to Malaysia and China with custom formatted Mifare card readers. The readers which were initially designed for use in the demanding and high activity university environment have proven to be technically outstanding and economically practical in a number of overseas projects. The export success was built on strong sales in Australia with one major tertiary institution now having installed over 1,000 of the M-Series readers. Unicard Systems has continued the outstanding relationship enjoyed with the tertiary sector by sponsoring the two major Australian conferences held in May this year. The Service Desk conference in Brisbane was attended by more than 170 delegates and allowed Unicard to share its 25th birthday celebrations by sponsoring the major event dinner themed on a beach party. Unicard Systems have recently completed the commissioning of ID card software for the University of Western Sydney with integration into various systems. The installation of the flagship UNI.Suite Platinum software now brings to twenty-six the number of Australian universities who receive all or part of their identity, transaction management or access control needs from Unicard. Unicard Systems utilising space provided by HID has displayed the latest ePay terminal at the Cards Asia Expo in Singapore. The ePay terminal was displayed with products utilising HID components and drew great interest from many visitors to this prestigious international event. The large and spectacular HID stand was located at the key entrance to the exhibition and also featured new Fargo products as well the range of other HID products. The Head of Fargo in the Asia/Pacific Region gave an enthusiastic and fascinating paper on the release of the new Fargo HDPii instant issuance card printer which has caused remarkable interest in the banking and finance sector. Unicard Systems celebrates its 25th year of operation this year and looks forward to many years more of successful trading. From modest beginnings in 1983 as a company specialising in boxes on photocopiers using magnetic stripe cards, Unicard has grown into a dynamic organisation offering the latest in card technologies and systems to be the leader in identity cards and Mifare technology in the tertiary education sector. Unicard now boasts a client list of over 700 organisations around Australia and many new clients overseas. Unicard celebrated the event appropriately in this Olympic Year with the first special export of our M-series Mifare readers to China. The readers which are made in Australia reflect the commitment to research and development and manufacturing. Unicard Systems, after a strenuous process has won all aspects of the Charles Sturt University tender to install a new complete ID card and account based transaction management solution. The system integrates into the Banner student management system as well as the Banner finance database with the additional benefit of encoding of cards for use with the Cardax access control system at time of card issue. Charles Sturt University have also chosen the latest Unicard kiosk for Eftpos transactions for adding value to user accounts. Unicard will also be installing a unique local university bus payment system utilising the latest wireless ePay technology. Unicard Systems are very pleased to advise that the company has opened an office in Darwin to service our many valuable clients in the Northern Territory and northern Western Australia. The new premises will hold a range of Unicard and Fargo products as well comprehensive stocks of consumables and service parts. The Unicard “ID Onsite” service will also operate from this office to provide services to small and medium size companies who want to have a professional ID card for staff produced on their premises. The upgrading of Unicard Systems Pty Ltd to be a Fargo Electronics International Distributor as well as System Integrator and Partner has seen an unprecedented surge in business, particularly with access control projects. Scott Sester, Fargo Electronics International Sales Manager made the announcement just prior to the Australian Security Industry Association Limited Exhibition and Conference held in Sydney this year. Unicard can now offer identity and access solutions (including legacy) for integration that include; General Electric (ARES 5 and ForceField), Cardax, Siemens, BQT Smax, SALTA and Inner Range (Concept 4000). The new range of Fargo identity software solutions, Asure ID®, compliments the extensive range of ID solutions offered by Unicard. Unicard offers the most sophisticated ID systems made and developed in Australia including the new UNI.Suite Platinum product which was the selected solution for the NSW RailCorp tender this year. The RailCorp tender was the largest and most complex ID system tendered in NSW in the last two years and the awarding of this tender is a significant reward for the development that Unicard has invested and will continue to invest in the latest technology ID Systems. The University of Queensland has enhanced the services available to students with the installation of the Unicard TMS account system. Students are able to utilise the system to pay for copying, printing and other services using the card for access and enhancing the campus experience! Unicard has been announced as the winner of the recent Ballarat University tender, for a complete ID Card and account based cost recovery solution. Unicard also supplies Ballarat University it’s W700 mseries mifare readers for door access. The addition of Unicard’s latest mifare technology now clears the way for Ballarat University to implement the latest technology in “One Card solutions” available. Unicard continues to dominate the University ID card market with its latest tender success. Unicard will be supplying an integrated ID card solution that will be responsible for all student ID cards. 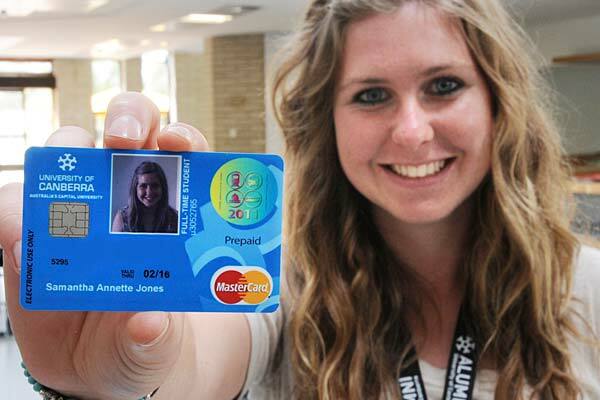 The ID Card system will also be supplying other University systems with related card information. With an existing Unicard cost recovery system already installed at the University of Melbourne, the addition of the new ID Card system will under pin a firm platform for another Unicard “One Card” solution. Unicard Systems have recently completed commisioning of a complete ID card production system for the University of Technology Sydney with deep integration into various systems. The system includes campus wide image capture and card production facilities. With 10’s of thousands of cards printed,the Unicard system continues to provide a robust and reliable card production facility. 30 September 2005 - Unicard TMS mifare cost recovery system takes off! The popularity of the Unicard TMS mifare cost recovery system has been exciting, with three large organisations placing orders with in the same year of release for installation during the 4th quarter 2005, and 1st quarter 2006. The installations include mifare access control, mifare ID card, and mifare cost recovery with ePay wireless options enabled. Unicard are committed to providing the best integrated ID, Access control and cost recovery systems to the market place. 20 January 2005 - Terminal Management Server - new generation TMS Account / ePurse released! Unicard Systems have undergone major product development in the last 12 months and have finally released Unicards new product line up. The new developments include new Back end server technology, terminals and access readers with entirely new electronics and a brand new look. Unicard’s new TMS Cost recovery system has been released and installed with great success. With seamless system and funds integration into Unicard’s ID Card production, Access control systems and third party Print control applications such as pCounter, OCS and PHAROS, and a competitive price. There are no alternatives that can offer this kind of functionality and integration!! !